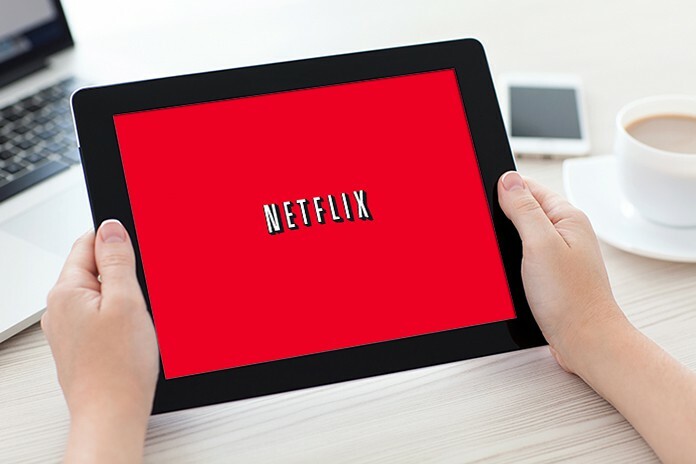 Almost every Netflix user, at one time or another, has wished to watch Netflix videos offline. Everybody wants to know how to download Netflix movies on an iPhone or iPad to watch when there’s no internet available. For years people wanted an offline viewing option and Netflix has finally given people what they wished for. 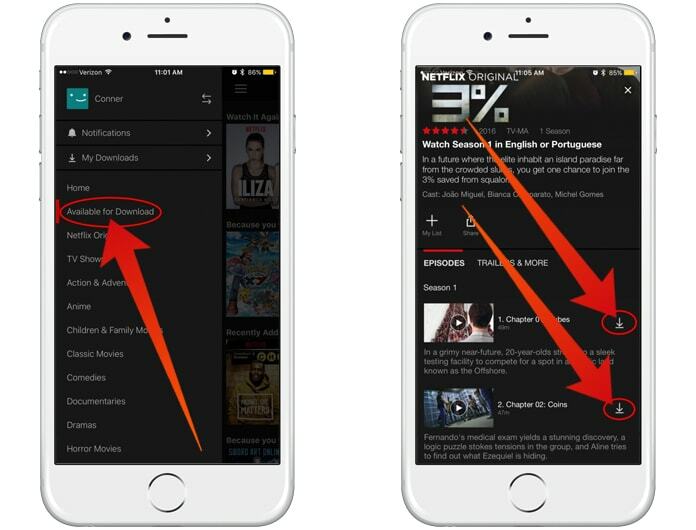 In this post, we’ll be discussing on how to watch Netflix offline on iPad, iPhone and whether it’s possible to watch offline videos on Mac. Thanks to Netflix your downloaded content can be saved easily on your iOS device but that the same is not true for Mac. That is because there is no Netflix app for Mac. We will touch upon the recommendations for watching Netflix videos offline on Mac but its important to note that it is against the app’s term and conditions. 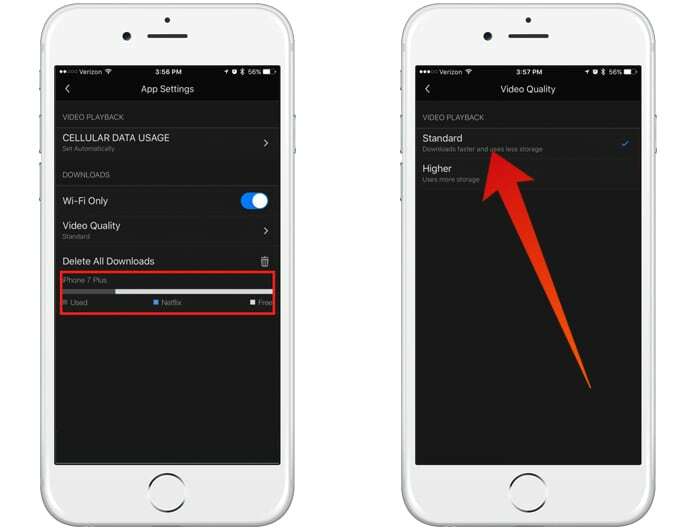 As far as the iPhone and iPad users are concerned, downloading Netflix videos is easy and your device can store as many videos as you want, granted you have enough storage of course. You can even download videos to watch on the airplane but you’ll obviously need to plan ahead. You should plan ahead by figuring out and download the movies or videos you want to watch once you’ve boarded the plane. Now let’s see how to watch Netflix offline. Download the Netflix app from App Store. If you’ve already downloaded Netflix, update it. Open App Store, click on Updates and tap the Update button next to Netflix. Open the app. You’ll most probably see a screen informing you about the offline viewing feature. Either dismiss it or tap Find Something to Download. If you do not see this screen, tap on Menu icon in the upper left corner to access downloadable Netflix content. Tap on the Menu and select Available to Download. Find the TV show or movie you want to download. Tap on the download button to save the movie for offline viewing. You’ll need to download each individual episode if you’re downloading a TV show. When the content has been downloaded, open the Menu again and select My Downloads to access all the videos you’ve downloaded. Tap on the video you want to view offline. After that, you can watch Netflix offline on your iPad, iPhone Mac or Windows Computer. While the new offline feature is a welcome addition to Netflix, you might want to know if everything you’ll ever want to see is available to download. 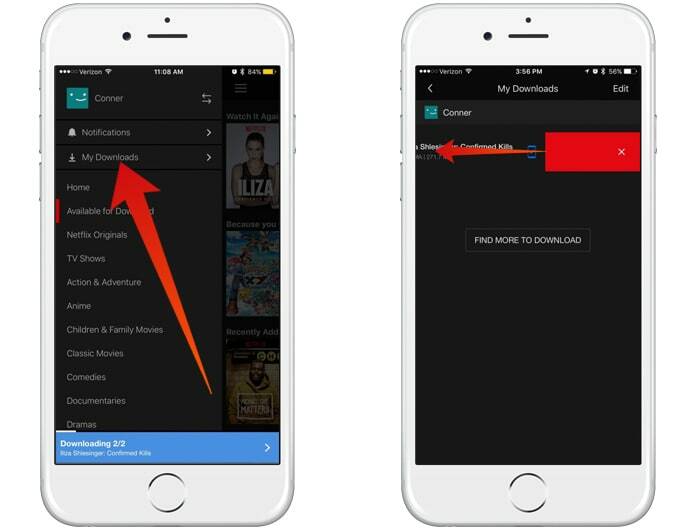 To download Netflix movies, you can visit the Available for Download tab in the Menu and tap on the search icon to find the movie or show you’re looking for. If you see a download button, its available for offline viewing, if it’s not there you’ll have no choice left but to watch it online. After you’ve finished watching what you downloaded it’s important you delete it, otherwise, it will just sit there taking space. Tap on the Edit button in the upper right corner and tap the (X) next to the video you want to delete. Alternatively, you can swipe left on the video and tap on the (X) to remove it. Open the Menu in the Netflix app. Scroll down and click on App Settings. Click on Delete All Downloads and confirm delete. If a show expires before you watch it, connect your device to a Wi-Fi connection, delete the downloaded content and redownload the video to start the expiration timer again. If you access the Menu in the app, you’ll see a bar showing how much of your iPhone’s space has been used and what amount of it has been occupied by Netflix content. This makes it easier to decide whether or not you need to download some content before downloading the new one. Scroll down and tap on App Settings. The bar depicting storage details will be at the bottom. From the same menu, tap on video quality to change it from Standard to Higher or the other way around. The above steps on how to watch Netflix offline are for iPhone users but is there an option of downloading content on a Mac or PC too? There is no Netflix app for Mac yet, which means you can’t download content to watch offline like iOS devices. There is an app for computers running Windows 10 but it does not allow to download content for offline viewing. Bloggers suggest recording your screen for which you’ll find many apps or software but the videos will have to be played for that. The new offline viewing feature was welcomed by users with iOS devices but people with a Mac are still waiting for Netflix to let them take advantage of this newly added feature. Nonetheless, giving the consumers what they want is exactly what a company should do and the introduction of this feature is a step in the right direction.